Fashion trends repeat periodically and its effect on different cultures. Indian outfit always plays an important role in ethnic style. However, many designers infuse western style into traditional outfits and present reinvented pattern. Pastel shades closet is one of the examples of the regenerated method. Influence of pastel color trend has spread across the globe nowadays. Pastel hues can be seen in various types of style – starts from casual, cocktail attire, theme code to formal attire. Styles improve gradually but also color influence changes with time so it is important to know what shades will be in trend. The popularity of pastels are increasing over the years and it can be seen in wedding collections also. Pastels with contrast dark shades are in fashion. This year, most of the brides and their family ditched “red” wedding outfits and select the pastel shades with contrast colors. 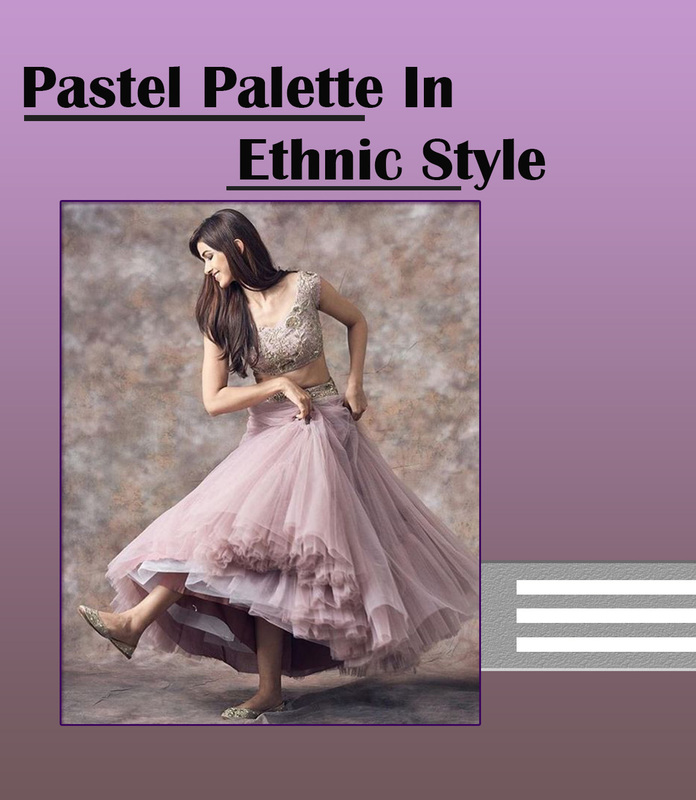 Not only in wedding function but also in other functions, pastel hues will be dominated. This color family consists of dusty pink, fresh lavender, spring mist, frosted tulip, Easter bonnet, powder blue, marshmallow, lemon chello, etc. Benefit factor is that this hues suits to most of the body tones. This article enlists a few latest shades that are going to rule over season 2019. If you are concerned more about fashion, review the following list before selecting the items for an occasion or gathering events. This grey shade is on roll in every season starting from spring to winter. Ethnic wear in pastel grey is craving attention. As per the current trend, light and candy colors are being more preferable. Even bridal accept these shades with darker hues for their wedding collections. Usage of lemon color is minimal but pastel lemon color becomes favorite shade since 3-4 years. Today’s generation believes pastels are a luxurious choice to style. It is mainly used for Haldi and Mehendi function. This shade adds the grace to your look. The colors convey your mood so be wise while choosing to dress up. This type of dull shade cannot more suits for a special occasion but you can wear at any functions by doing a slight modification. Frosted tulip is a happy color that can be easily styled with dark pink. Add charm your look by wearing suitable accessories. Drop the dark green or parrot green shade in this wedding season & select the pastel light and dark green mixture shade for wedding functions instead. These eye-popping shades give you a chance to be the center of attraction at any gathering event. Have you ever pick up the café latte shades for engagement function? This pastel shade has been showed this season and it will continue throughout this year. 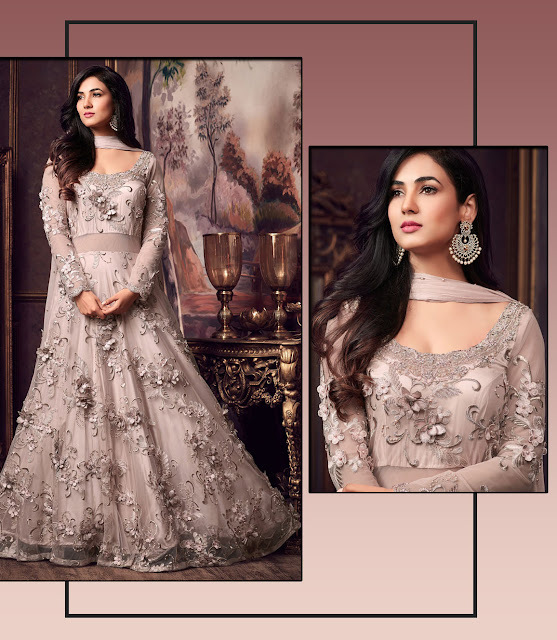 Anarkali in this hue with embroidery work overall the dress gives the heavy appearance. The minimal Kundan ornament will enhance your look. Designers come up with innovation in any season. Coral reef saree with a yellow embroidered blouse is soothing. It is interesting to wear an event as it’s elegant as well as stylish. The color impact on our brain and nervous system so you should try those colors are giving pleasure. Try out unconventional color such as vanilla canvas in the festive season. Wear beige net lehenga with cape style at night function and look stunning. White is the color of enthusiasm and inspiration. It is a symbol of loyal love and represents purity. White outfits are all time favorite color of fancy occasion but team up with pastel hues provides an extraordinary look. 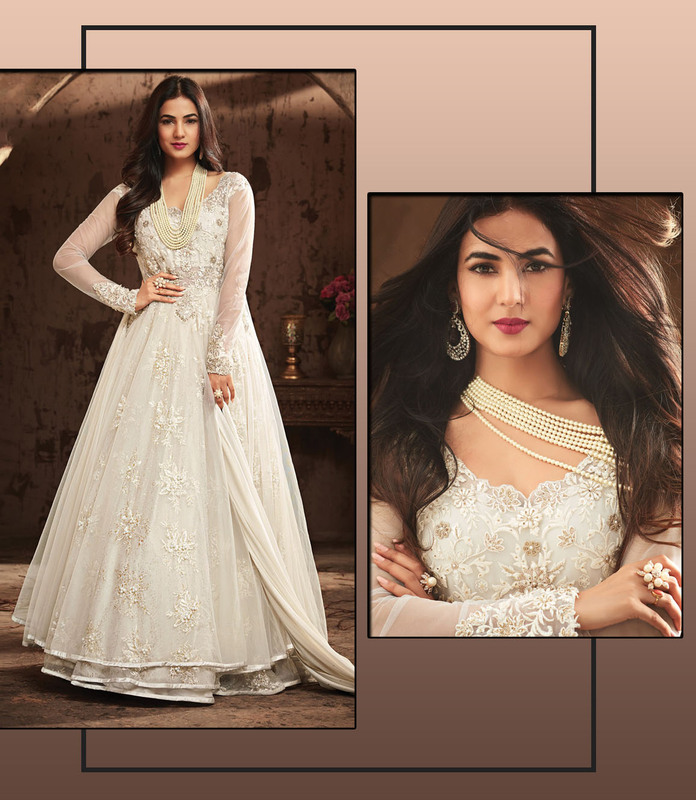 Pick up white net designer Anarkali suit to wear in function and become a fairy tale. Fashion designer ensemble soft pastel color with brighter shades. The lighter green with darker shade is trending color. Choose spring bud color saree with the gold & orange embroidered border to stand out in the crowd. Look gorgeous by selecting two pastels color in single ethnic wear and wearing contrast accessory. A distinct combination with international blend can be found in the recent fashion trend. Celebrities opt dusky colors for a dazzling look. 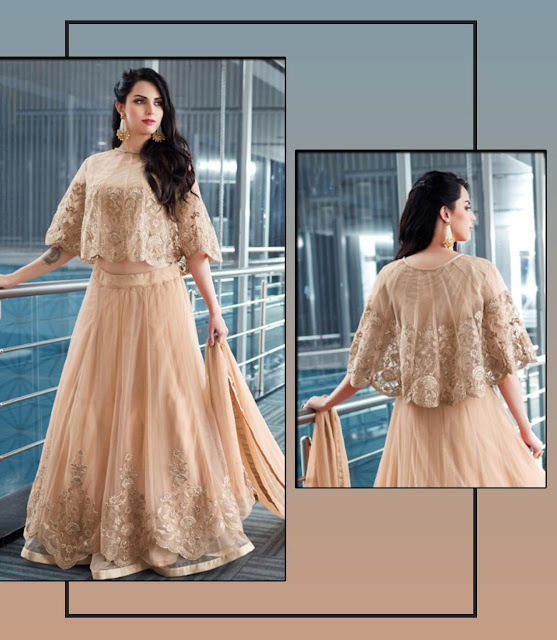 Heavy gold embroidery gown type Anarkali looks perfect for evening and night wedding function. Gold heals, matching earring and golden purse will add the value.